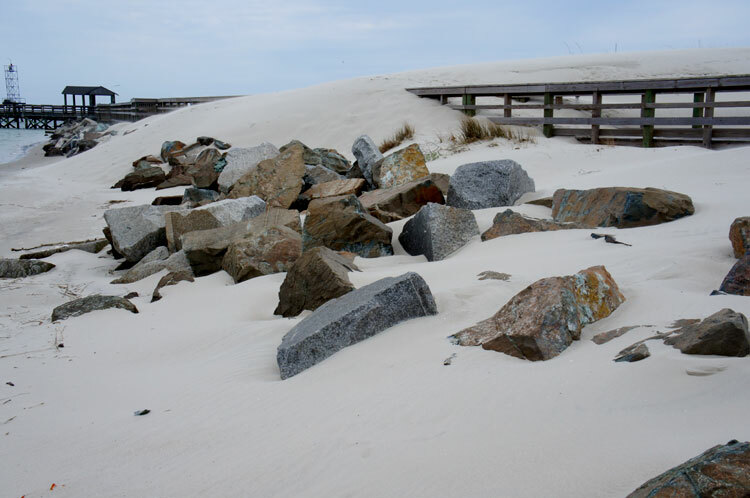 The dunes of the Cape Charles Beach have formed where prevailing onshore winds blow sand inland. In most cases, there needs to be obstacles (vegetation, fences, etc.) to trap the moving sand grains. As the sand grains get trapped they start to accumulate, forming a dune. 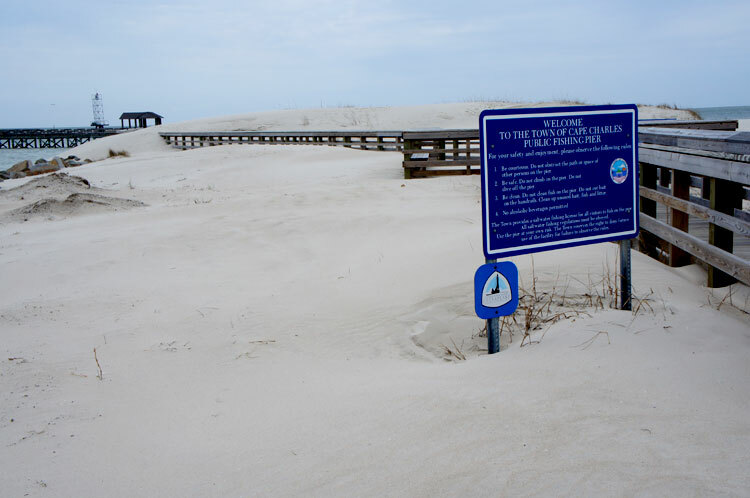 Unfortunately, the fishing pier has offered itself as a prime obstacle; in this case, the wind starts to affect the mound of sand by eroding sand particles from the windward side and depositing them on the leeward side. 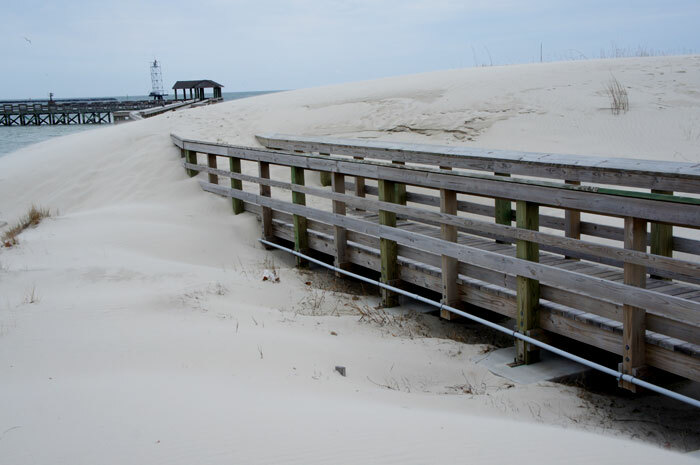 Gradually this action causes the dune to “migrate” as it has right over the pier. Deeper coverage now than last month, when my dog Libra and I had to exit the beach via the sandy path. That sand belongs there……the pier does not.